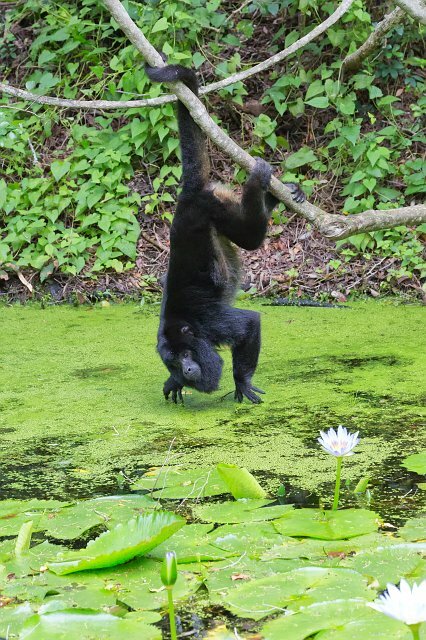 The prehensile tail of the black howler is very strong and acts as a fifth limb, allowing the monkeys greater versatility when climbing and allowing them greater safety in the occasional fall from a high branch. Because their limb structure makes terrestrial movement awkward, they spend most of their time in the trees and only come down for water during dry spells. Otherwise, the monkeys drink by wetting their hands on moist leaves, and then licking the water off their hands. Their lifespans are up to 20 years, but more commonly 15 years in the wild.